Slipform construction, also referred to as sliding form construction, is similar to an extrusion process. Plastic concrete is placed in the forms, and the forms act as moving die to shape the concrete. 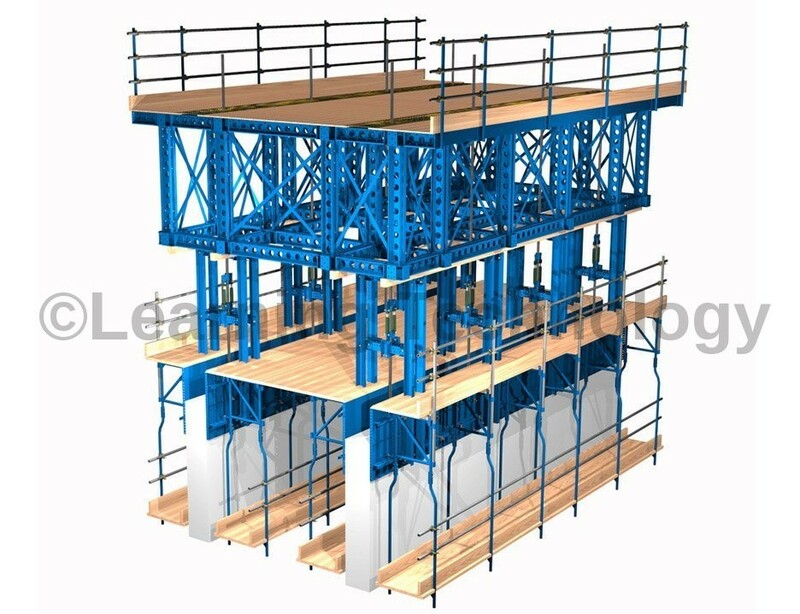 Once the form has been filled with fresh concrete and hardening has started the form is gradually raised by the lifting devices on which it is suspended. The rate of movement of the form is regulated, so that the forms leave the concrete after it is strong enough to retain its shape while supporting its own weight. 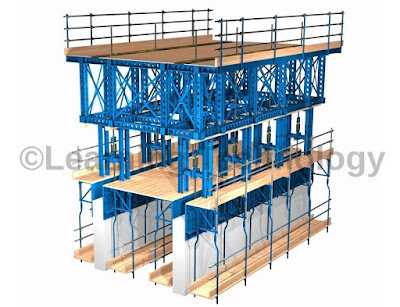 Pouring of concrete, tying of reinforcement, fixing of openings/inserts etc., are performed gradually from a working platform. An average sliding speed of 200 mm an hour is common, rising to 300 mm an hour under the best conditions and 100 to 150 mm an hour when large or complicated structures are being slip formed.